EXCLUSIVE: Domino's Pizza is unconcerned by an Eagle Boys ad campaign which takes a subtle dig at the pizza maker, as the company looks to compete with the wider food market. In recent months, Eagle Boys ran a campaign which said its competitors’ pizzas are becoming smaller. 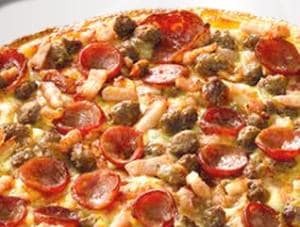 However, Domino's chief executive Don Meij told AdNews: "The days of supersize me are over. Customers see more than just a large size, they see quality. Value is not in the size of a pizza." Domino’s has been embarking on a change in marketing strategy of late, in which the company has been shifting a significant proportion of its marketing budget towards digital marketing. Meij said 80% of the business will be digital in six years time. Meij said the shift to digital would allow the company to gain an edge over its competitors. However, he argued Domino’s does not see other pizza companies such as Eagle Boys and Pizza Hut as Domino’s primary competition. “You can’t just look at Domino’s within the pizza category," Meij said. According to Meij, the major competitors in the QSR category are companies like Subway, Mcdonalds, KFC, Hungry Jacks and Red Rooster. However, in a tough economic environment, Meij said supermarkets are Domino’s biggest competitor, as consumers increasingly dine at home.